Steven Spielberg has stated that he would like to remake his classic, Indiana Jones, with a woman in place of Harrison Ford—he can if he wants. But we’d have to call the character by her new name, Indiana Joan, Spielberg says. Because she’s a woman! And no women exist with the last name Jones, come on. “We’d have to change the name from Jones to Joan. And there would be nothing wrong with that,” Spielberg told The Sun in an interview earlier this week. Damn right. 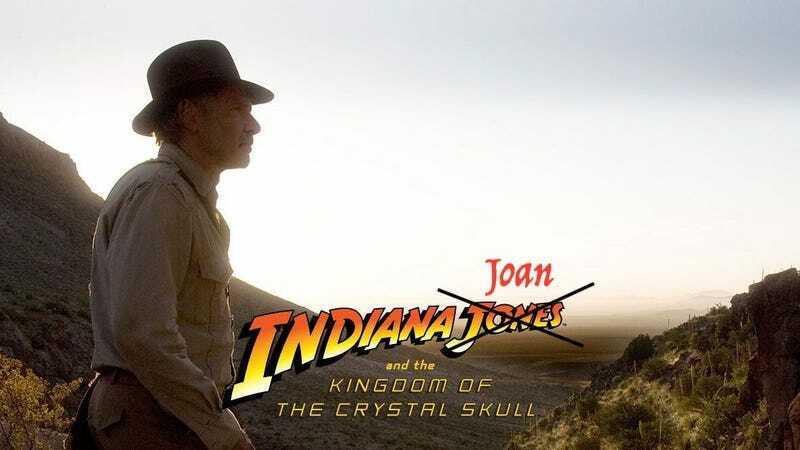 It has to be Indiana Joan. But why stop at Indiana Joan? We’re sure she has lots of friends who would love a movie of their own, too. The Jezebel staff thought of other popular films that have to be remade with new names and titles, based on the fact that the lead character would be a woman instead of a man. Here they are. Easy. Just a few ideas, Hollywood.